Quality Dry Cleaning. This is rather obvious since quality is right in our name, but here’s why: We take the time to do it right. We have an experienced dry cleaner who examines and pre-spots, when necessary, every single item that passes through our plant. Some of our competitors don’t even bother to pre-spot. We do and it makes all the difference in the world. You can bet if we can’t get out that stubborn spot or stain, it can’t be done. 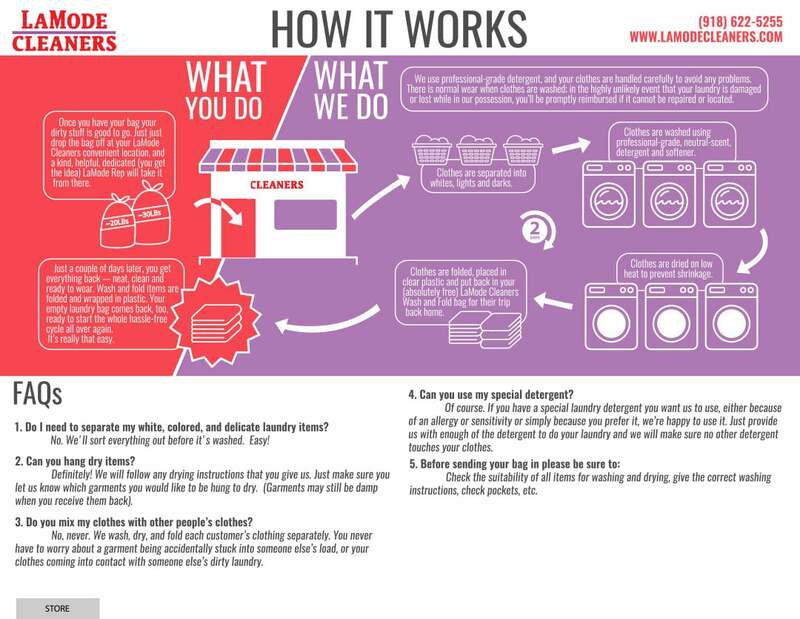 We are insistent when it comes to proper filtration and distilling of our dry cleaning solvent. Clean solvent is the first step to properly cleaned clothes. Finally, our pressers are the best in town and understand that doing it right is more important than doing it fast. While same day service is available, our focus is on quality. Tulsa’s best shirts for over 60 years now. You’ll be impressed with your whites as well as the look of all of the wide variety of colors you’re wearing today. We use the best starch available to commercial laundries and it shows in the presentation and wearability of your dress shirts. If need be, we pay special attention to the cuffs and collars and keep them looking like new. You’ll like the look and feel of all of your shirts after we’re finished with them. Household Items. These items are best defined as: Comforters, Blankets, and Sheets. Many cleaners no longer provide this service but we gladly offer to take care of all of these. Leathers & Suedes. We are happy to help you care for your leather coats, jackets, skirts, pants as well as the suede garments you have. While some of these items can be cleaned on site, we prefer to send most of them to one of the top leather specialists in the United States. Ram Leather cleaners in Missouri can properly clean and condition all of your leathers and suedes. In most cases, you’ll have your garment back in no more than 2 weeks. Fur Coat Cleaning. If your fur needs cleaning, we also send them to Ram Leather. Wedding Gown Cleaning and Preservation. We’ve been cleaning, pressing and preserving wedding gowns for 60 years. All gowns are processed at our plant using the utmost care to maintain the beauty of this most special of all gowns. We can clean and press your gown prior to your wedding if need be and we can clean and box the gown for safe-keeping after your big day. Poppe, our spot and stain removal specialist, is the best in town. She has been in the dry cleaning business more than 60 years. Not every spot or stain can always be removed, but if she can’t get it out, it’s probably not coming out. 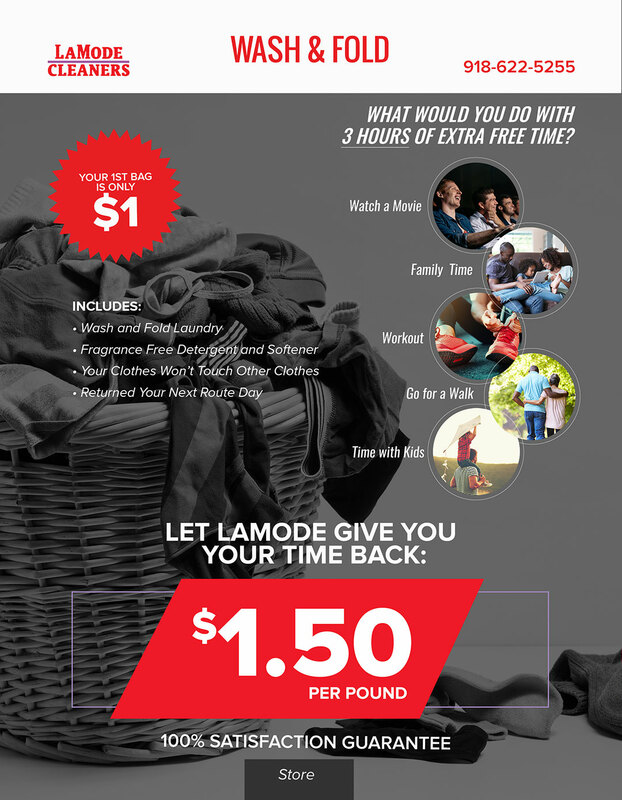 At LaMode Cleaners, we’re proud to offer you this service.